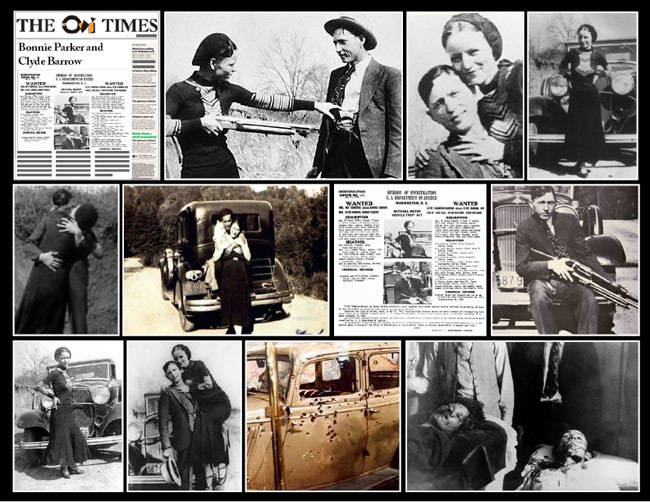 May 23rd 1934; in Bienville Parish, LA, Bonnie Parker and Clyde Barrow were ambushed and killed by Texas Rangers. The bank robbers were riding in a stolen Ford Deluxe. Clyde Champion Barrow and his companion, Bonnie Parker, were shot to death by officers in an ambush near Sailes, Bienville Parish, Louisiana on May 23, 1934, after one of the most colorful and spectacular manhunts the nation had seen up to that time. Barrow was suspected of numerous killings and was wanted for murder, robbery, and state charges of kidnapping.